What is a Best Travel Router? Why do I need a Best Travel Router? 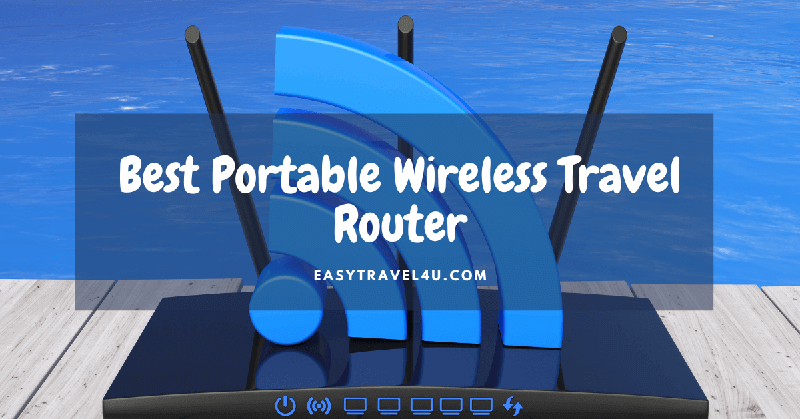 Essentially, a travel router is a small internet connection device that turns a wired connection from an ethernet port into a wireless signal. This enables you to connect your devices to a secure, personal wifi network. What makes them different from your standard, at-home version? They are usually compact in size, and offer battery power for when outlets are scarce. Furthermore, some offer the ability to boost the strength of existing WIFI networks, or broadcast the signal from a mobile hotspot. Keeping a travel router in your toolkit ensures your ability to connect anywhere. Take your own short ethernet cable and you will be able to bring any archaic connection into the wireless age. For those looking to travel less developed parts of the world, but still wish to keep up to date, it’s a necessary safety net. Public wifi can only take you so far. Travel routers can be great for all types of digital nomads. They allow you increase the strength and range of spotty signals. Also, as the race to get slimmer continues, laptop manufacturers are removing ethernet ports. That means if you want to work on the road, you have to get wireless. Nowadays, we all have more than one internet connected device. With your own network you can bring your laptop, smartphone, tablet, and gaming console online. Using mobile data on all your devices can be expensive. With a travel router you can latch on to the ethernet based connection in the hotel or airport lounge without paying for the expensive wifi. If you’re forced to pay for wifi or wired internet, you can use your router to spread the one connection to all your devices, instead having to choose just one or pay for more. Stop paying for a coffee every time you need to connect your laptop by mooching a free wired signal. By connecting all your devices to your personal network you can transfer files, share photos, and stream music or movies. Better yet, have your friends and family join you and make sure you’re all seeing the same thing. Watch a slideshow of your latest journey or see who has the best photo to share to social media. Keep everyone in your travel party entertained by turning one connection into many. No more fighting and no more boredom. Most importantly, we’ve all been desperate for internet on the road. Budget travellers and backpackers who can’t afford exorbitant international data are more likely to connect to unprotected wireless signals. This can be extremely dangerous. Password protection is essential to a secure network. Spyware and malware can sneak into your devices and steal your most precious information. This could be personal locations/contacts, or financial details. Likewise, using shared computers in internet cafes can leave you vulnerable to the most basic blunder, forgetting to log out and leaving your information open for all to see. Having a dedicated, password-protected wireless network means your information is much safer. If your work is super secretive, you can piggyback another wifi signal to your personal router, requiring a second password and creating further layers of protection. As in any technology segment, there are many options to consider. It’s easy to get confused. Focusing on your needs will bring you to the right choice, for you. Consider what kind of traveller you are. Here are the 5 best travel routers, for all different types of travellers. One of the best parts of travelling is taking those gorgeous photos that make your friends and family extremely jealous. If you’re the type to regularly sift through all your daily shots, the RAVPOWER FileHub Plus could be the perfect choice. This device features a variety of upload options that will regularly free up space on your camera’s memory card or laptop’s hard drive. The FileHub Plus has the standard USB port, but also slots for SD and HDD cards that will make sure you never miss a great photo due to lack of memory. The dedicated FileHub transfer app effortlessly moves photos directly from your devices to cloud based services like Google Drive, or iPhoto. By uploading and transferring photos more often you make sure losing a camera or memory card doesn’t mean losing irreplaceable moments. As a traveller who has lost a few of both, I wish I had forked over the $40 dollars to make uploading a bit easier. You can also stream your slideshows to a variety of internet connected devices and show people on the road and at home, what you’ve been up to. It also has a dedicated port and limited local battery to recharge your camera or smartphone. The extra ports come at the cost of battery size, so don’t expect more than one charge. Overall, if you’re a serious social media master, or a professional travel blogger/photographer the FileHub plus could cut down the frustration of your daily routine. Travelling light is essential on long journeys. It’s hard to keep yourself light as you accumulate items on the road and tangle with the wires from all your accessories. So why not cut down where you can? The TP-Link N150 Wireless Nano lives up to its name. At just under 7 ounces and packing an impressive 4GB of RAM, the N150 delivers performance from a small package. It charges using a standard micro usb, which means one less wire. This router has only one function, getting you online. There’s no variety in external ports, meaning you can’t directly connect your devices. The Nano can be perfect for the seriously compact road warrior. Someone who wants all the specs with none of the unnecessary bells and whistles. It doesn’t function as a mobile charger, it doesn’t transfer your files, but it gets you online fast. Once you’re online, it has the power to keep you moving quickly. At $20, the Nano is smaller than the credit card you’ll use to pay for it. Get on line, stay safe, and keep moving. The Satechi Smart Travel Router also ascends to its namesake. This item has the unique feature of combining a multifunctional travel adaptor, with your standard router. Satechi has created a plug toggle that allows you to tap into power outlets in over 150 countries. This can be extremely useful for travellers regularly going between the USA, UK and Europe, all of which use different connections. By combining these two necessary items, the Satechi Smart will save you space and keep you connected wherever you go. USB ports also allow you to charge your devices while you're connected. Unfortunately, this doesn’t function as mobile charger, so you’ll likely be stuck near the wall. However, if you regularly stay in hotels and hostels, it’s extremely easy to charge all your devices while online in your down time. Standard 3-way travel adaptors will cost you around $15, so springing $32 for the Satechi Smart seems like a relatively reasonable option. Satechi’s intuitive combination allows you to carry one less item, but sacrifices some ease of use and performance. For those looking for serious performance, the NETGEAR Trek N300 could be the right choice. The Trek offers a variety of power options. You can get online using a standard US/AUS/CAN two prong wall plug, a USB from a laptop or desktop, or charge up the mobile battery. The N300 gives you all the tech in a discreet package, with 300 MBPS connection speed, and a flip out antenna that provides impressive range extension. It also features a simple switch that moves you between connecting to a wired network or tethering into an existing wireless connection. These options make it simple to connect in a myriad of ways and give you the speed you need once online. If you want to hit the road without losing a step, this could be the right choice for you. Tired of watching video or looking at your photos on your tiny screens? The HooToo Titan Wireless Travel Router has the power and technology to bring your life to the big screen. The associated TripMate app allows you to connect to a bunch of streaming devices and transfer files instantly. This device adds some serious juice by incorporating a huge mobile battery that can charge your smartphone up to 3 times. Essentially, it's a mobile charger and router 2 for 1. Secret fold out flaps reveal input and output connections that allow you to send items to a mobile hard drive or memory stick freeing up space for more photos on your devices. Plus there's an optional USB hub that can turn one port into 4. HooToo has created a seriously powerful multipurpose machine with an integrated app that commands a variety of connected devices. All these features come at a cost, as the Titan is a bit bulky. All these devices have their strengths and weaknesses. It’s important to remember that while travelling space is important but so is performance and versatility. Having a dual purpose item keeps your wires and weight to a minimum, but if it comes at the expense of performance what’s the point? The best travel router is easy to use, performs many functions, and allows you to use it in many different ways. For these reasons, the clear winner is the HooToo Titan. By combining the mobile charger and travel router, HooToo has combined two life saving gadgets into one. Unlike the Satechi Smart (also a space saving 2 in 1) the HooToo eliminates the need for a wall mount by depending on a USB connection charge it’s massive battery. USB chargers are ubiquitous wherever there’s a wired connection and completely universal, eliminating the need for a power converter. Furthermore, the streaming performance and virtually infinite configurations allow you to charge all your devices at once. Charge your devices, share photos, back up your hard drive, stream video, the Titan can help you do it all. Best of all it comes in at under $40. That's a big bargain for this many features. The aptly named Titan is heavy, but it’s the internet hub that should help you stay connected, and safe on the road. If it can save you from running out of battery, and stop you from risking your security on spotty public networks, that’s a true win-win but it’s the internet hub that should help you stay connected, and safe on the road. If it can save you from running out of battery, and stop you from risking your security on spotty public networks, that’s a true win-win.